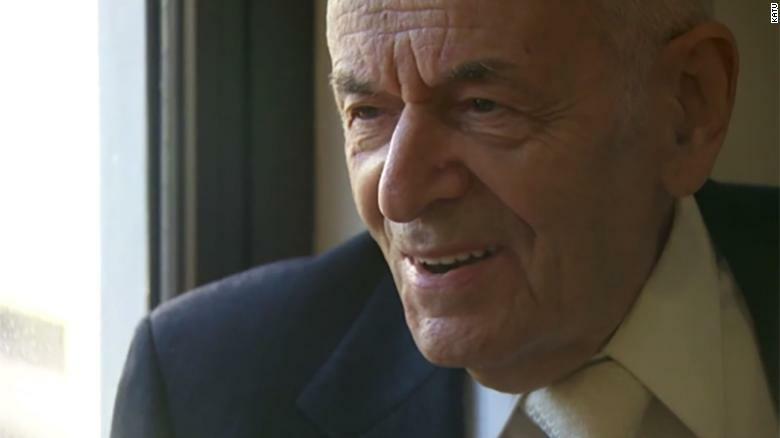 (CNN) He was the only one in his family to survive the Holocaust. Now Alter Wiener is committed to sharing his story with as many young people as he can. The 92-year-old sat in front of the Oregon State Senate Education Committee this week to share his deep desire to educate, inspire and spread love throughout America. “Be better, rather than bitter,” Wiener said. His first big step is to convince Oregon state legislators to create and pass a bill that would mandate educators to teach students about the Holocaust and genocide. The survey also found that 31% of all Americans believe that 2 million Jews or less were killed during the Holocaust, when the actual numbers state that approximately 6 million Jews were put to death during the Holocaust. Wiener was one of the few who survived. His tumultuous life included spending three years in concentration camps, including the infamous Auschwitz camp in Poland. He has received approximately 88,000 letters in response to his life story, whether it was from people who heard him speak or read his autobiography. 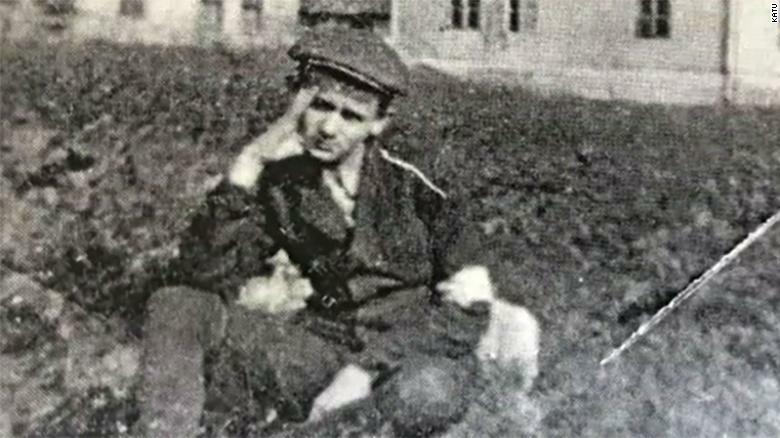 Alter Wiener as a young boy, in a concentration camp. Wiener isn’t the only one hoping to change things within the Oregon education system. 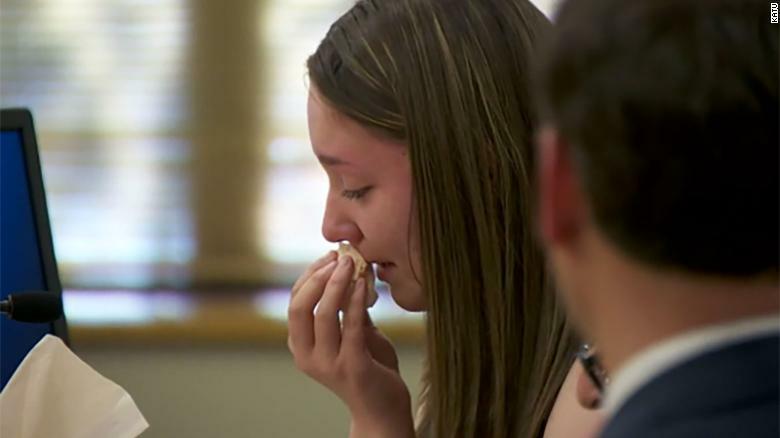 Claire Sarnowski, a Lakeridge High School freshman pleaded her case as well. She met Wiener at one his speaking engagements. “Each time I hear (Alter Wiener’s) story, walking away, I learn a different lesson — gratitude, love, appreciation, respect, compassion and most importantly, live life to the absolute fullest,” Sarnowski told the state Senate committee, holding back tears. Claire Sarnowski speaks to the Oregon Education Committee. Along with the Holocaust, women’s suffrage and civil rights aren’t listed as a specific teaching requirements for high school educators, according to CNN affiliate KATU. Wiener has made strides to change the law, and has met with nearly 1,000 groups to share his story. 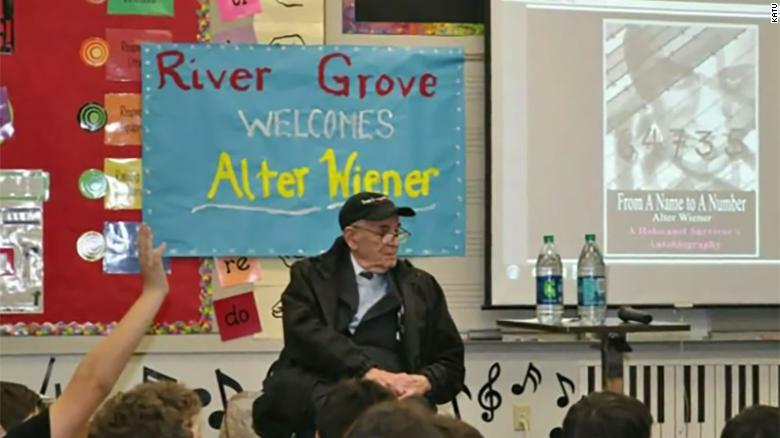 Alter Wiener addresses a group of students at River Grover Elementary School in Lake Oswego, Oregon. “It’s alarming the amount that (teens) don’t know about the Holocaust or genocide. For me as a student, it is crazy to me that this is not common knowledge,” Sarnowski told KATU. State Sen. Rob Wagner told CNN he is currently working on draft legislation regarding Wiener’s request. He hopes to introduce it in late January. Not only was Wagner motivated by Wiener, who he describes as a “bright light” and “sharp as a tack,” he was also struck by some of the things his daughters saw in school. The state senator hopes his bill will become a statute in May 2019. “If we’re teaching the history of the 20th century, we should not be glossing over the Holocaust,” Wagner said. If passed, Oregon would join 10 states in the United States that have similar mandates. Some of those states are California, Florida, Kentucky, Michigan, and New York.